"Our chief want is someone who will inspire us to be what we know we could be. " Chances are that you’re looking for a professional you can talk with – either for yourself or someone you love. Have there been some recent changes in your work, health or personal life? Are feelings of anxiety, stress, depression, grief, loneliness or chronic pain are weighing you down and preventing you from truly experiencing the joy of being alive? Perhaps you are struggling with difficult relationship issues? Or it could be that you are on a path of personal discovery and growth. These are just a few of the many areas that I help clients with in my practice. Our natural state as human beings is to feel alive, but there are times in everyone's lives when it feels like something is holding us back. During these times it can be useful to have the support and perspective that a trained professional can provide. Whatever is holding you back - I’m happy you’re here. There is hope. As a Licensed Marriage and Family Therapist and Licensed Professional Clinical Counselor, I have specialized training and experience to help you explore your area of concern and empower you to make the changes that you desire. In most cases, this results in reduced suffering, improved quality of life (i.e. feeling happier to be alive!) and enhanced connections with others. You may desperately want to change something about yourself but are feeling paralyzed, hopeless and lacking in willpower. You’re not alone. Fortunately, research has shown that people get unstuck not through willpower but through a relationship with a person or a group who offers a fresh perspective. But not just any relationship will do. Ideally, that person should have training in a variety of techniques that can help individuals recover from emotional difficulties, resolve personal issues and create desired changes in their lives. Family and friends, while well intended, are often too emotionally close to us to provide objective support and guidance. My desire is to come alongside you, and to provide you with the tools, skills and encouragement necessary for you to achieve your desired change. I’ll also help you get in touch with what is enduring, such as your strengths, values, spirituality and social support system. 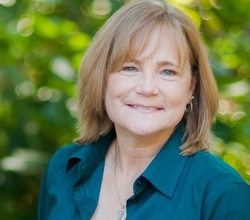 As a therapist in Mountain View, I work with individuals, couples and families. I see everyone as capable of becoming more hopeful, connected, confident and secure. One of the things that's unique about my practice is the innovative and client-friendly approach to therapy. I provide a comfortable and private office in Mountain View, however, I also make "house calls" for people who have difficulty traveling to my office. Additionally, I offer "Walk and Talk Therapy." Daytime, evening and weekend appointments are available to meet the needs of busy individuals and families. Please take your time to explore my website and contact me for a free 20-minute phone consultation. Whether you're looking for extra support and guidance through a situation or just looking to move in a new direction, I look forward to working with you to achieve your goals.